Less than a week after the killing spree at the University of California Santa Barbara, a torrent of more than two million tweets have been shared containing anecdotes, stories, and outcries against misogyny, sexual harassment, and violence against women. Here is a heat map visualizing the use of #YesAllWomen hashtag on Twitter, showing the start of the hashtag in the U.S., in comparison to Nigeria, where the #BringBackOurGirls hashtag began. 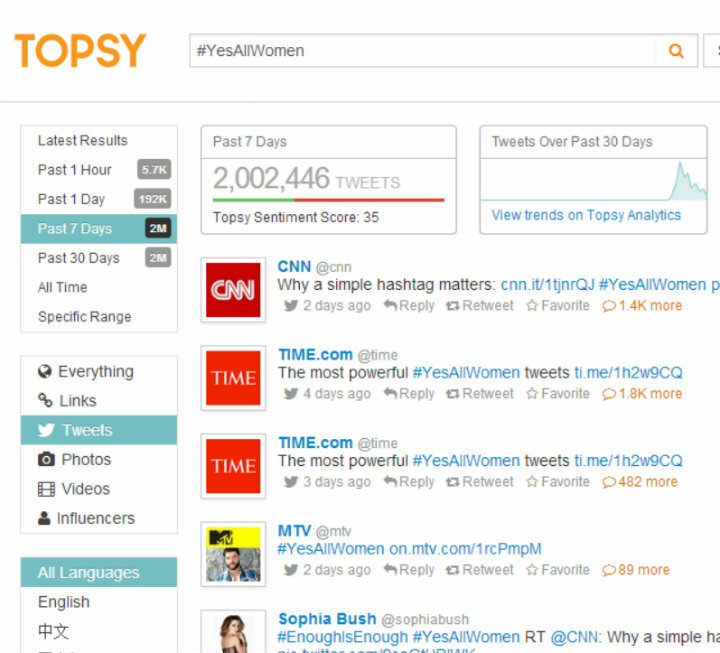 Related campaigns using the hashtags #everydaysexism and #rapecultureiswhen have both been used in similar efforts to shed light on misogyny, as discussed in CNN’s article on “Why #YesAllWomen took off on Twitter.” Campaigns across U.S. campuses have also been pressuring universities to address sexual assault on campuses, as mentioned in the Chronicle of Higher Education. But what about the societies where women cannot speak out as openly on social media due to censorship or lack of access to technology? With #YesAllWomen, social media has succeeded again in being a tool for raising awareness on a social issue, but it will continue to be a long journey to shift entrenched cultural norms. Interested in this topic and how social media can be used to create social change? Enroll now in our upcoming Social Media for Social Change course.